As renewable energy and distributive generation (DG) become more and more cost-feasible, our customers are recognizing that becoming completely independent of utilities is closer to reality. 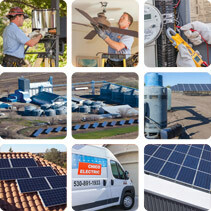 DG refers to customer-owned and sited systems. This “microgrid” technology will offer reliability, power quality and cost savings versus what the utility is currently providing. A microgrid is a distinct electric system consisting of distributed energy resources which can include demand management, storage and generation. 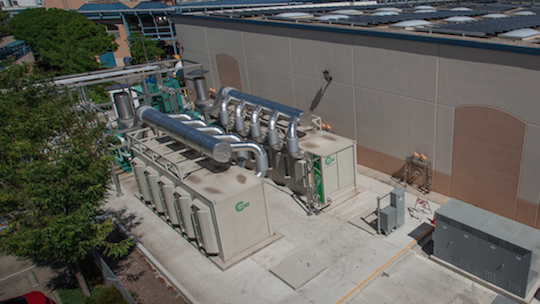 Our newest complementary product is the microturbine—the basis of our microgrid technology. Microturbines are an advanced, clean technology for producing distributed electricity, heat or both. View the Sierra Nevada Brewing Company microturbine project. Working with our partner, Regatta Solutions, we are providing customers with the microturbine technology to generate both heat to supplement their thermal demands, and electricity for their power demands. Regatta Solutions has established itself as a premier, national energy solutions expert and is the exclusive Capstone Turbine Corporation Western US dealer. Contact us to discuss adding microturbine technology to your facilities. We look forward to working with you.